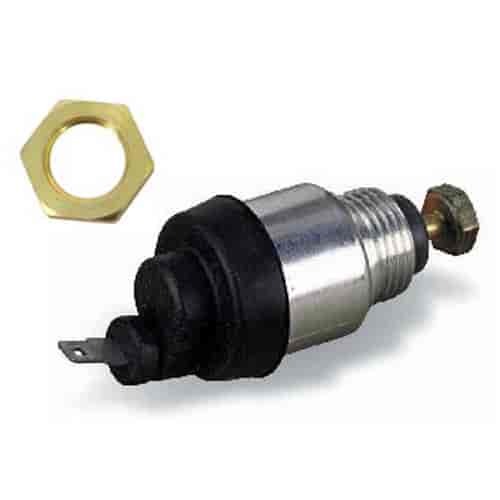 46-74 - Holley Throttle Solenoid, Dashpot & Brackets is rated 5.0 out of 5 by 2. Rated 5 out of 5 by Jazz fan from Solenoid Fit my carb perfectly and stopped my deciling problem. Easy to hook up and adjust. Rated 5 out of 5 by Outlaw40 from Bolts right up to 670 Avenger Exactly what I need to kick the idle up with a/c on. Wish the picture would have shown that the nut comes with the solenoid. I ordered one because it did not appear that a nut came with it.